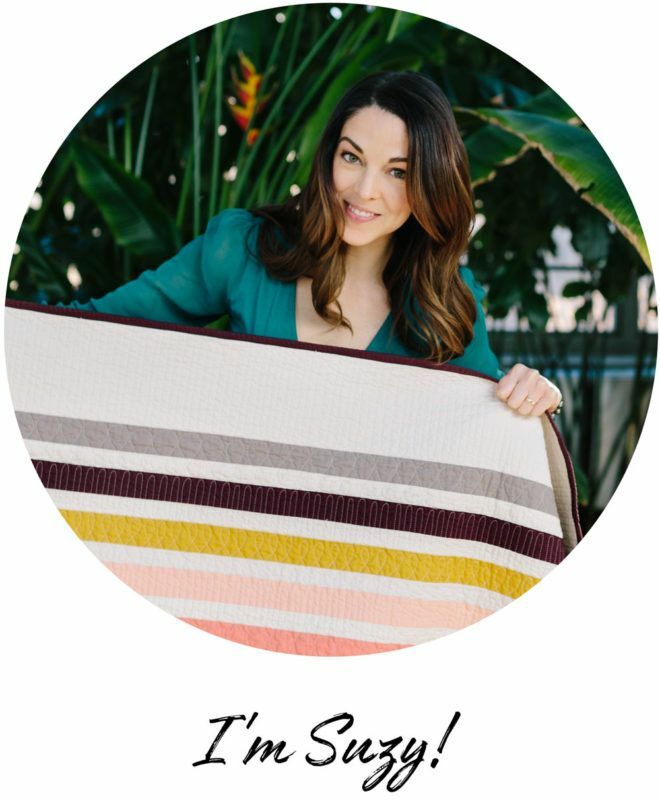 I learned to hand quilt as many of you have learned most things in adulthood – through hours of searching the Internet. I experimented with different weights of thread, lengths of needles, stitches, basting methods and hoop sizes. 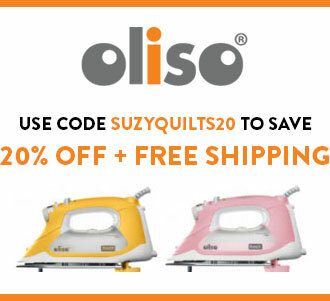 Every blog and tutorial I found passionately explained how to hand quilt differently. 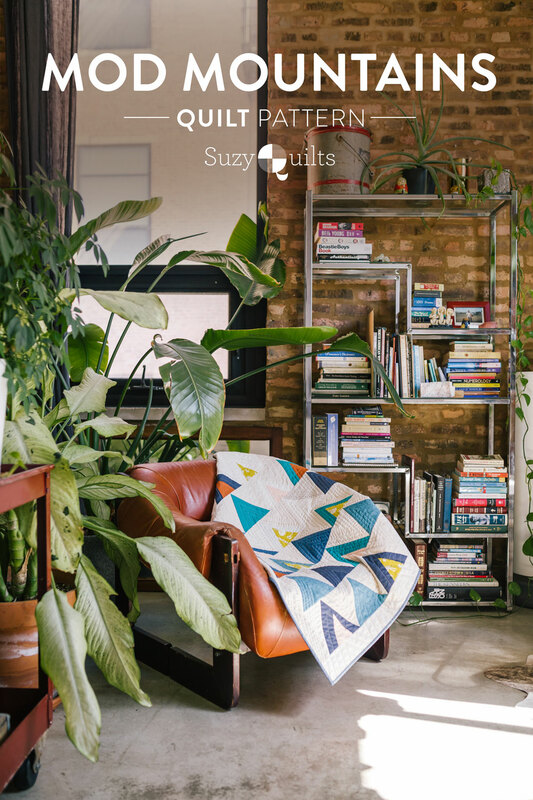 After hours of spelunking through online caves and crannies, I concluded that there was no wrong way to hand quilt. There's just your way. 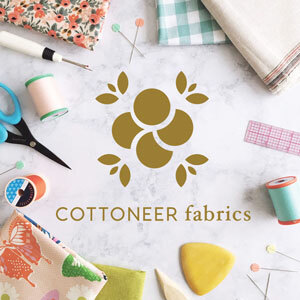 Even though I really liked that conclusion, I had to know for sure that I wasn't just falling into my typical loosey goosey ways of sewing. I needed a quilt to practice my hand quilting, but I wasn't committed enough to hand quilt the entire thing. 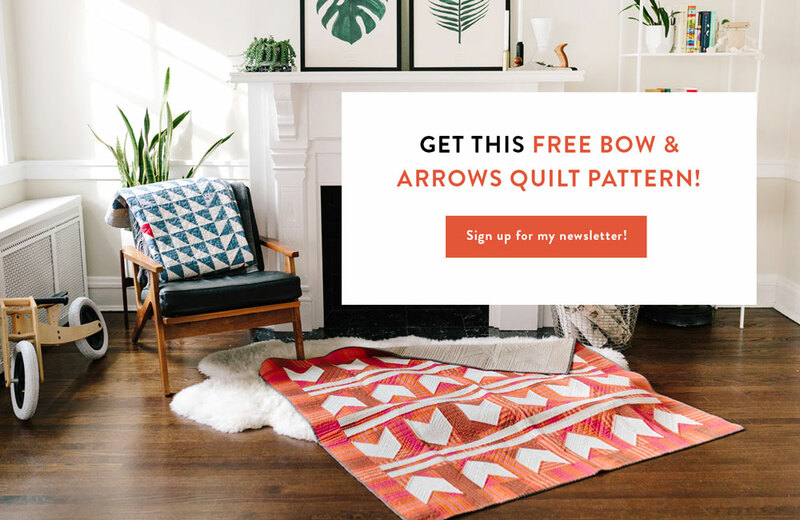 I thought, "Wouldn't it be cool to design a quilt pattern that purposely interacted with the quilting? 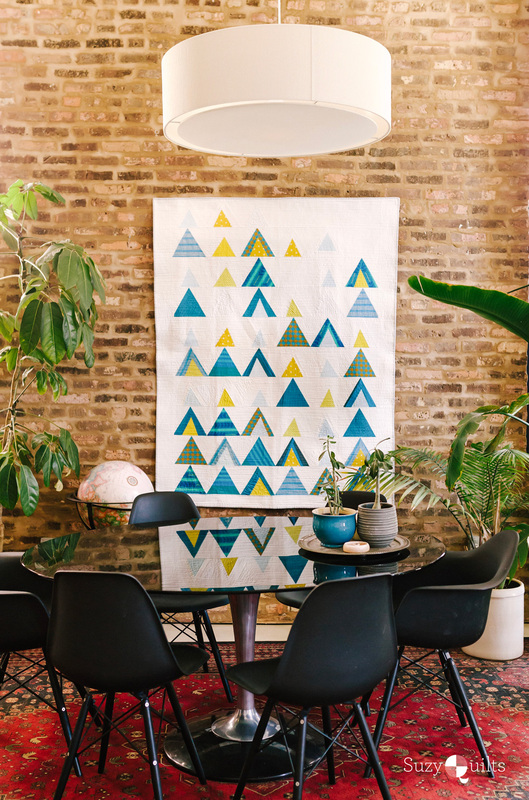 What if I intentionally left large sections of negative space so I could come in later and add small hand-stitched touches?" 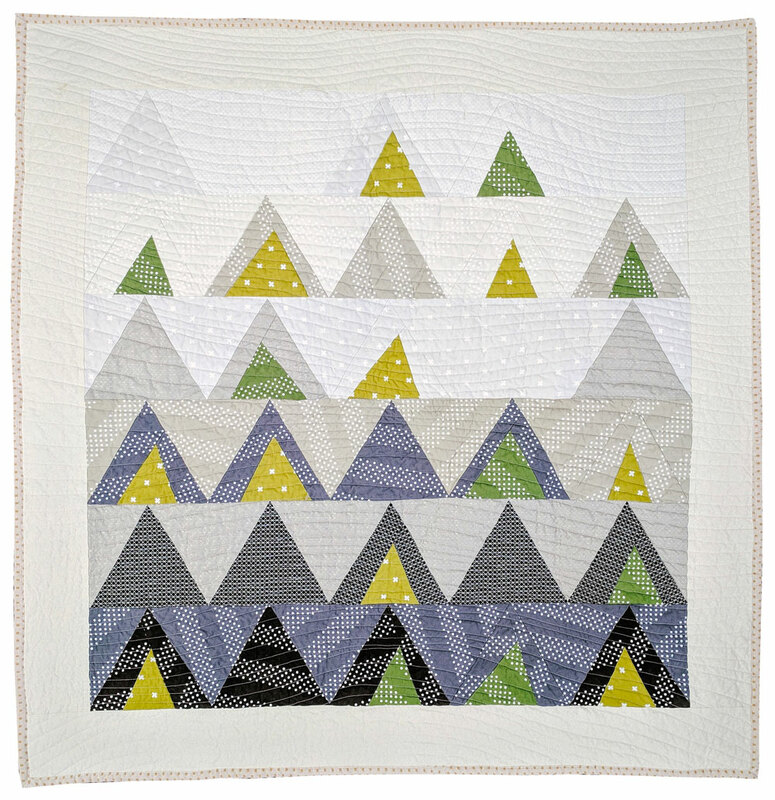 In my first post about the Mod Mountains quilt pattern, I mentioned that the original quilt won 3rd place in the hand quilting category at QuiltCon. I still find that award a bit humorous because that was my first time hand quilting and to tell you the truth, I didn't do a very good job. A lot of my stitches didn't make it through all three layers of the quilt and whether it was intentional or not (not) my stitches we very uneven. I tell you this not to belittle my quilt, but to encourage you to put your own unique stamp on this pattern. 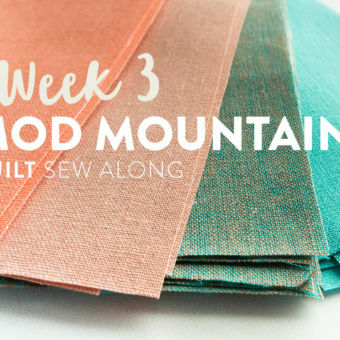 Even if you've never hand stitched before, why not try it now? You can add just a tiny bit to see if you like it. Heck, you can pull out every single stitch if you hate it. 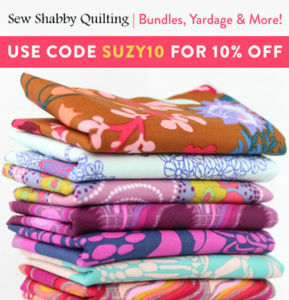 Fellow sewists, there's no beating around the bush, if you want to learn how to hand quilt you've gotta jump in and be prepared to be kinda bad for a while. After you've excepted that you won't be very good in the beginning, come to terms with the fact that you will need to practice before feeling proficient. 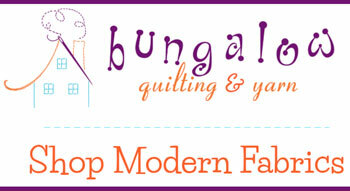 Any time someone asks me how to hand quilt I tell them that the initial learning curve is not steep. It's actually pretty easy. If you want to get fast, even stitches – all that takes is practice. Hours and hours of practice. But don't fret, my pet! Hand quilting is tons of fun and incredibly relaxing too. Oh! And did I mention that it's portable? 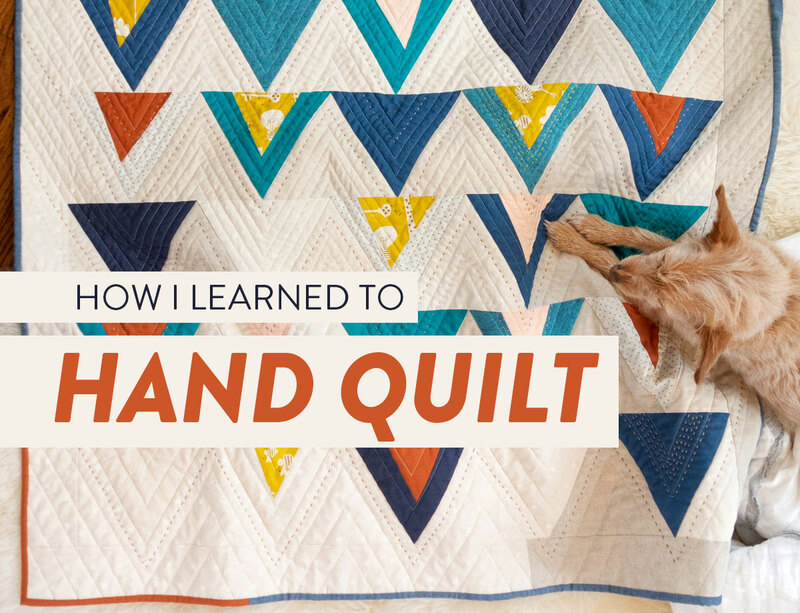 For a full tutorial on how to hand quilt, check out this blog post! 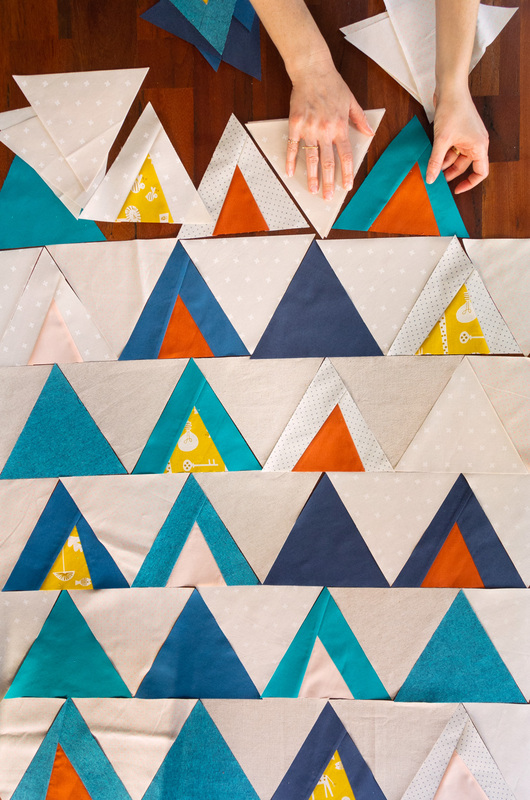 When quilting this baby quilt, I first machine quilted by following the triangle pattern to create a chevron design. 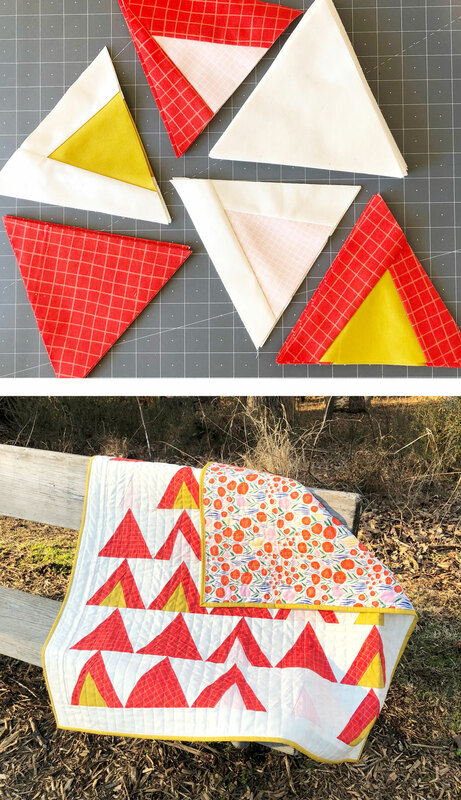 After securing the three layers of my quilt sandwich together, I went in an added some hand quilting that followed the same chevron pattern. After hand stitching a few rows, I decided to hop back on my sewing machine and add density to some areas to intensify the A-symmetrical flow of the design. A really fun thing about machine quilting and hand quilting together is the back and forth process. Although I do suggest machine quilting the entire quilt at least a little bit first, after that initial machine baste, anything goes! 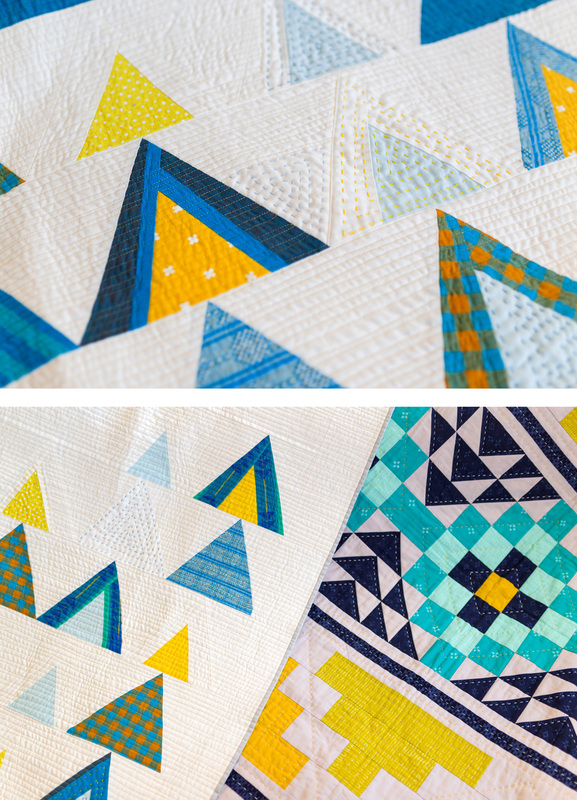 Quilt a little, stitch a little, quilt a little, stitch a little. 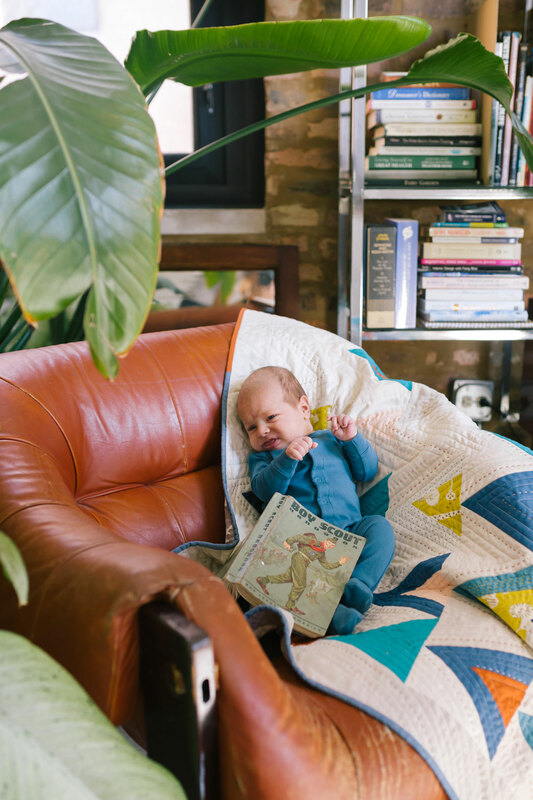 In the pics below I tried to pose my son, Desi, and he was not happy about it. It looks like he's saying, "Ew! Ew! It's touching me! Get it off!!" ha ha! 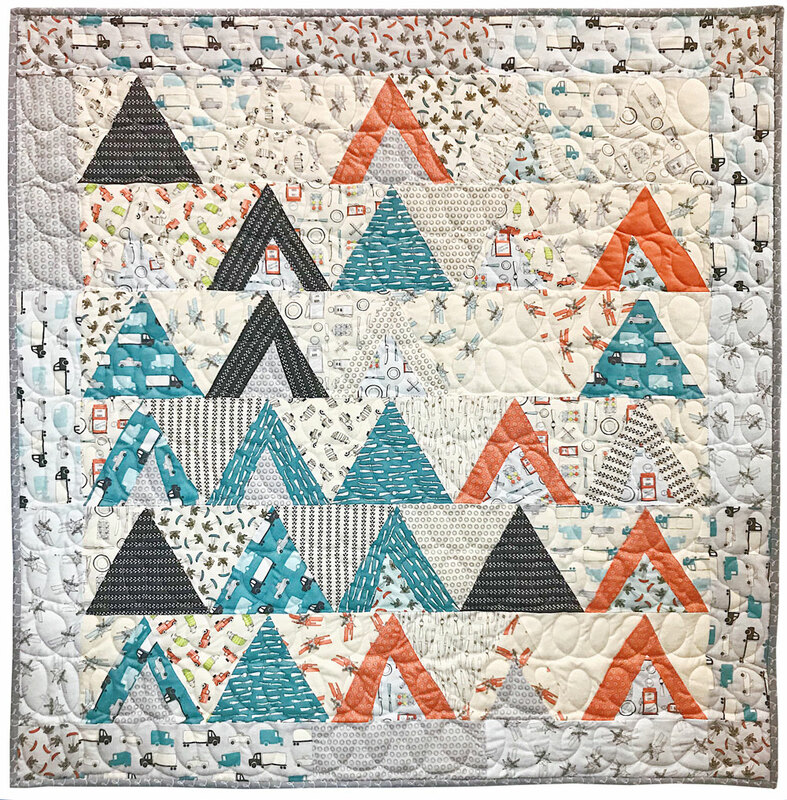 One of my pattern testers, Sarah Holst, of Sarah-Made, tapped into her amazing creativity by hand quilting mountains inside of mountains! Isn't that lovely? I'm so inspired! 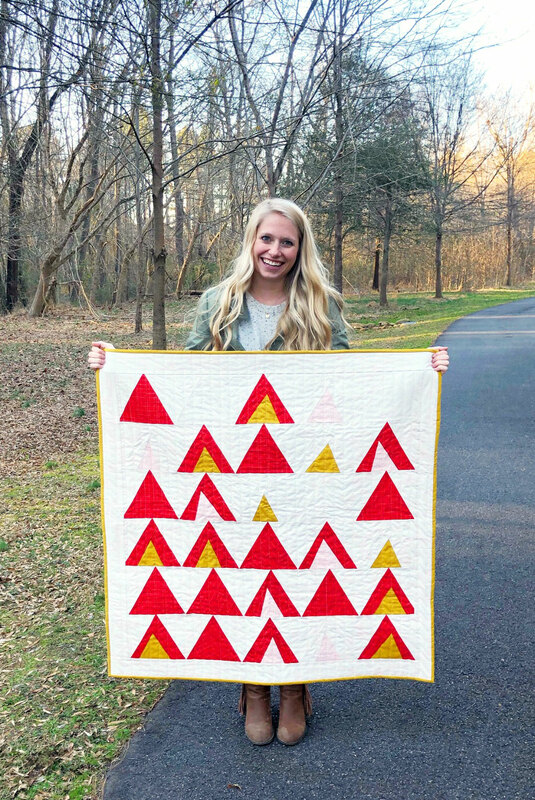 My good friend, Caitlyn has created such a unique version of this quilt pattern by mixing up the triangle layout. 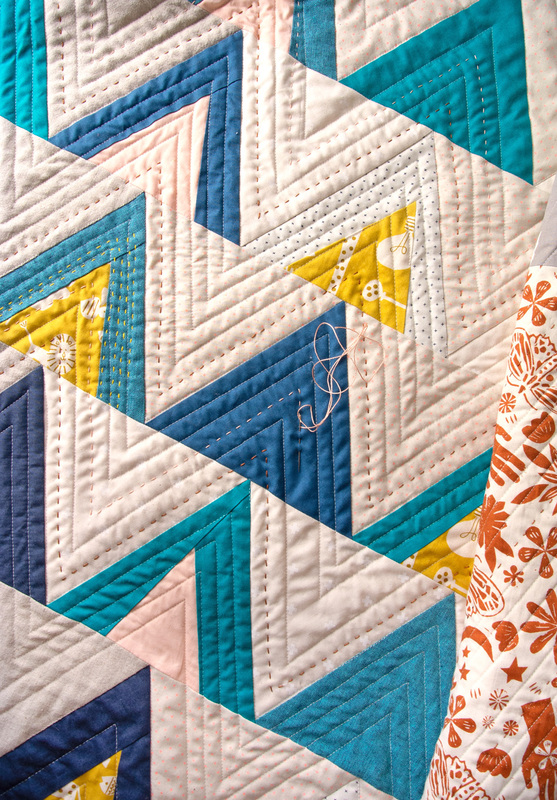 Those waving quilting lines remind me of wind blowing through a whimsical mountain range. 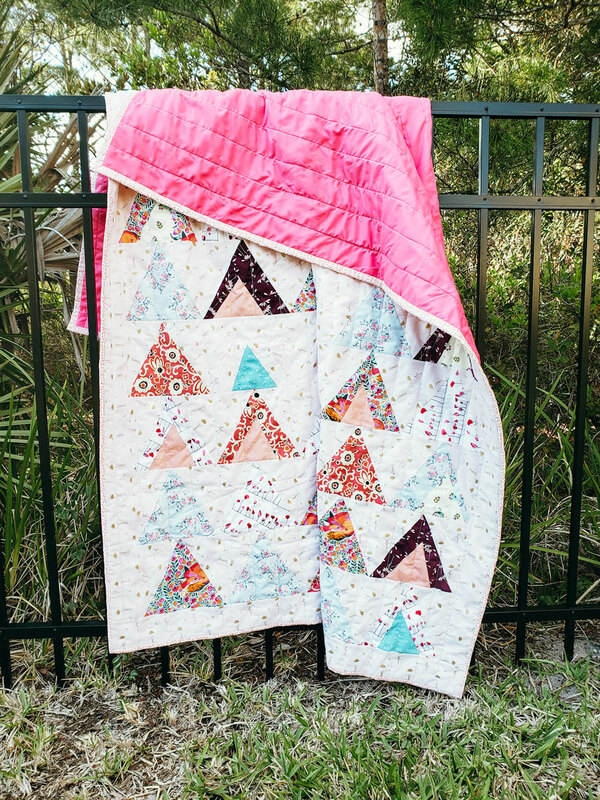 Michelle Collins used the colors from her backing fabric to create this poppy red Mod Mountains baby quilt. Isn't she adorable? Isabel was invaluable to me during the editing of this pattern. She had lots of great ideas and wasn't afraid to tell me how to make things flow better. I appreciate you so much, Isabel! Elizabeth is my math whiz! After this pattern she can calculate triangle math in her sleep! 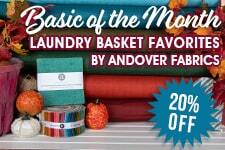 Elizabeth used Moda brushed cotton from mighty machines designed by Lydia Nelson. 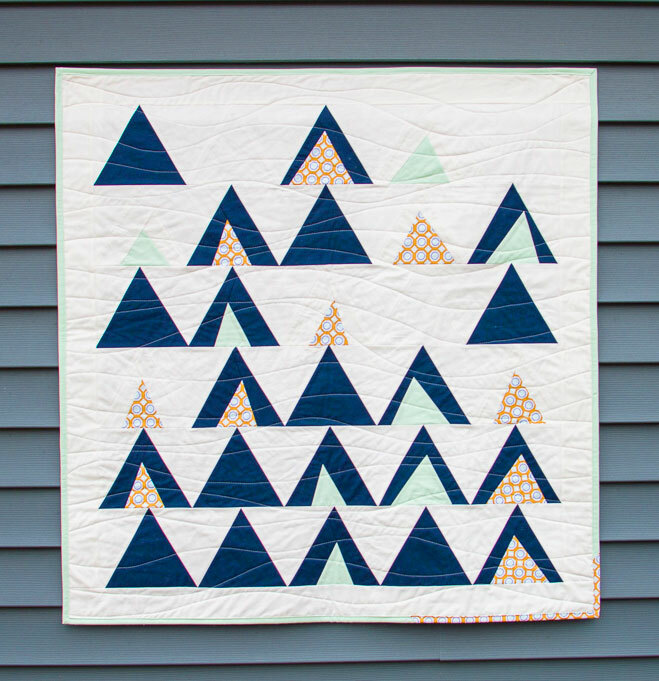 Krystina created this navy and mint baby quilt for her cousin's new baby. 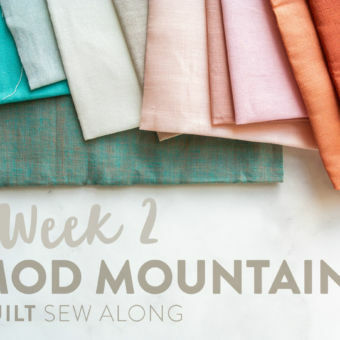 I've been loving this same color combo too and am planning my own variation for the Mod Mountains Sew Along starting April 10, 2019! This was an awesome all inclusive video!! Thank you so much 😊. I’m off to try this. 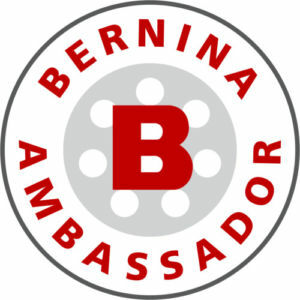 Every year I try to learn at least one new technique and this is my choice for 2019. You’re any excellent teacher. Wonderful! 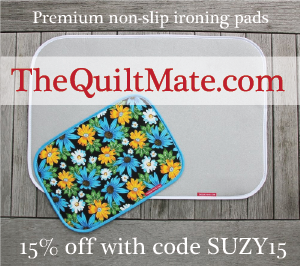 I hope you love hand quilting as much as I do! Really enjoyed the concept of mixing machine and hand quilting. 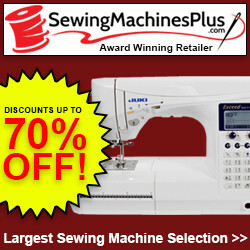 I love the therapeutic quality of hand stiching but I am intrigued with machine quilting. So the best of both worlds. Thanks! 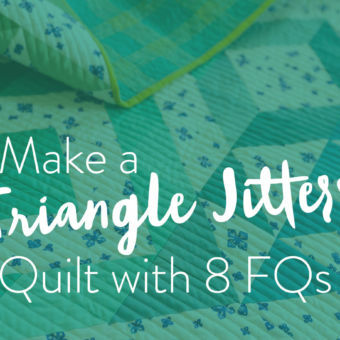 I’m so happy to see you mixing the quilting methods – I did this on my last quilt and wondered if it was allowed! 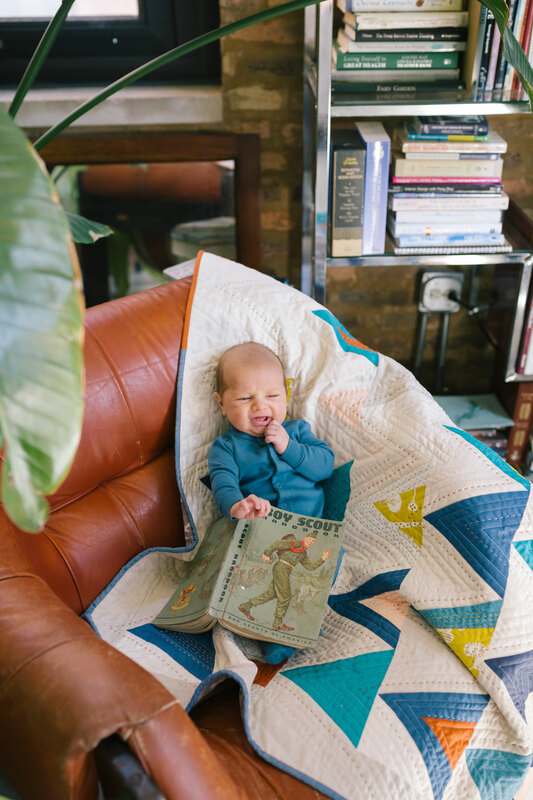 There’s no quilt police – it’s the wild wild west out here! Anything goes!! 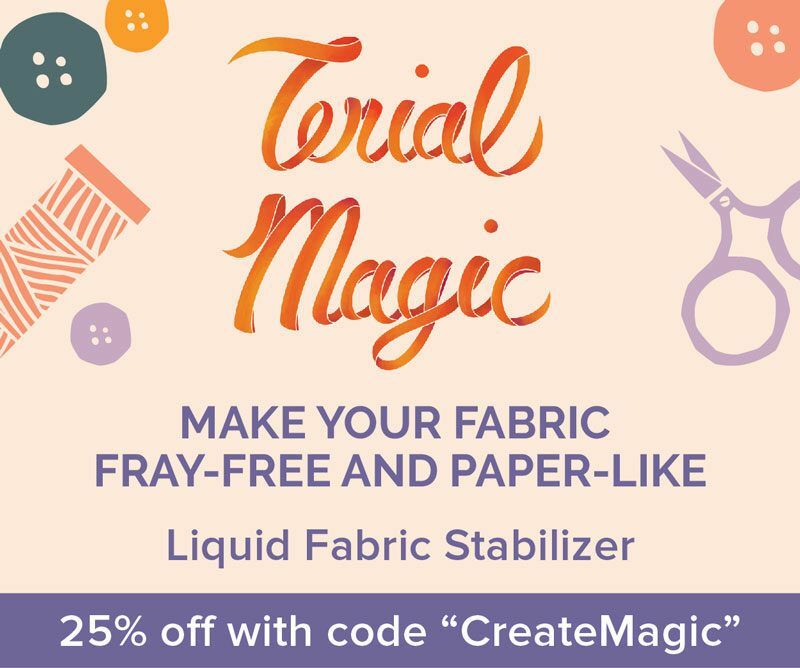 Loving your tutorial and the (permission) to mix stuff up. 😍such an insperation. I was inspired by your original hand quilting post in January. I ended up hand quilting an already machine quilted quilt! I liked it so much I picked all the machine stitches and hand quilted the entire thing! Was it good? NO. Does it look homemade and well loved? Yes! And I am so proud of it.